The 10-core processor has two powerful Cortex-A73 cores clocked at 2.6GHz, four energy-efficient A53 cores running at 2.2GHz, and four super lightweight A35 ones ticking at 1.9GHz. The GPU in charge of graphics is PowerVR 7XTP series - not exactly new as Apple had a similar one in the iPhone 6s two years ago. Traditionally we start our benchmarking routine with some Geekbench tests on the processor, but our unit is running on a pre-release Flyme version, and it failed to run the app. The offscreen GFX tests show the PowerVR 7XTP GPU is noticeably weaker than the current Adreno 540 by Qualcomm, but very close to its previous Adreno 530 model available in the Snapdragon 820 generation and on par with the Mali-T880MP10 found in the Meizu Pro 6 Plus. There are apps that will run on the native 1440p resolution, so we also ran the onscreen GFX benchmarks. The Pro 7 Plus GPU does a decent job, though the current top-of-the-line crop offers twice the performance, so not really spectacular. We can draw the same conclusions from the compound GPU tests by BaseMark - the Pro 7 Plus has a capable GPU, but far from the best on the market. While we couldn't run the CPU tests, the compound apps AnTuTu and BaseMark OS II 2.0 give us a pretty good idea of what to expect. The Meizu Pro 7 Plus was closer to the top here, suggesting that its processor is much to the top dogs than its GPU. The Meizu Pro 7 Plus isn't topping any benchmark charts, but this doesn't mean it doesn't offer flagship-grade performance in daily usage. Its 10-core processor offers plenty of future-proofing and being built on the 10nm it's very energy-efficient, so the phone runs pretty cool even when stress-tested. 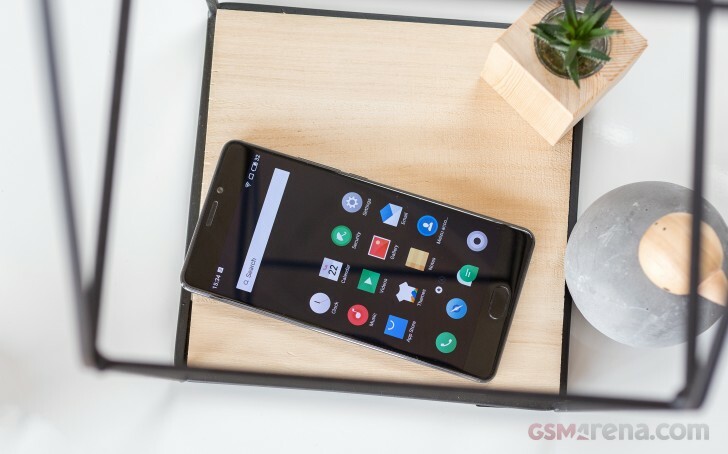 The GPU seemed like the weak spot of the Meizu Pro 7 Plus and its Helio X30 chip, but things aren't as bad as the numbers alone might have you believe. It may not have the same theoretical performance as the current competition, but it's capable of handling any demanding 3D game or high-res movie, hassle-free, no matter the resolution. It may not be as future-proof as the CPU, but it will be good enough for at least a couple more years.